Are you trans or gender diverse? Would you like some support and to build positive social networks? Talk in a supported place about relationships, mental health and alcohol and other drug use. 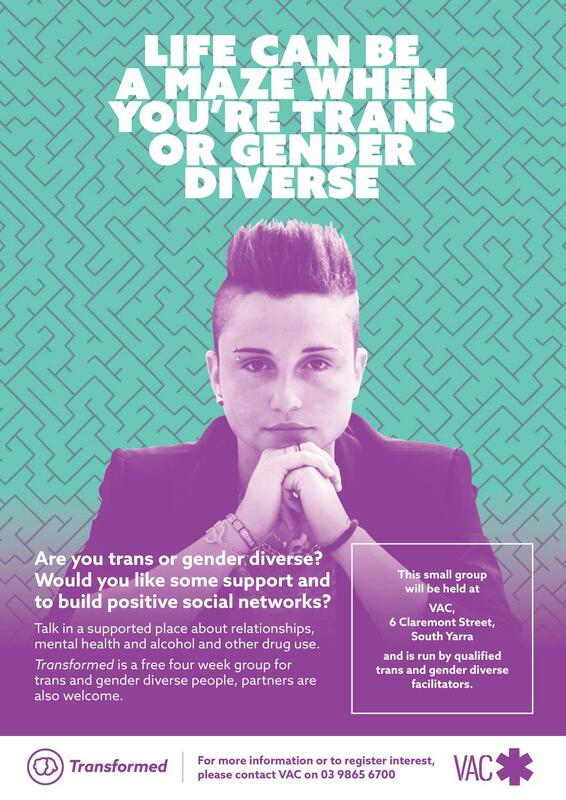 Transformed is a free four week group for trans and gender diverse people, partners are welcome.